Director Amr Salama’s movie Sheikh Jackson has been nominated to represent Egypt in the foreign films section at the next Oscars in 2018. Starring Ahmed El-Fishawy, Ahmed Malek, Maged El-Kedwany and Amina Khalil, the film was put forward by a committee of Egyptian critics and cinema makers under the Ministry of Culture. The US Academy of Motion Picture Arts and Sciences will review the various nominations in January and create their own shorlist for the Oscars in March. If the film is selected by the Academy, it will be the first Egyptian movie to make it to the final selection in the foreign films category. 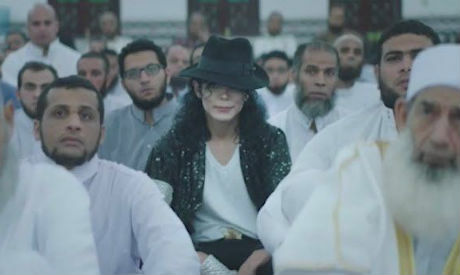 Sheikh Jackson is set on the day of Michael Jackson’s death in 2009, and centres on a sheikh who was dubbed "Jackson" by his friends during his schooldays. The story goes on to explore the emotions stirred by the popstar's death, sparking a series of existential questions within the sheikh. Sheikh Jackson will have its world premiere on the final day of the Toronto International Film Festival in Canada, which runs from 7 to 17 September. The film will also open first-ever El-Gouna Film Festival to run between 22 and 29 September. Salama is a self-taught, award-winning filmmaker and writer, who previously wrote and directed Zay Ennaharda (On a Day like Today, 2008), Asmaa (2011) and La Moakhza (Excuse My French, 2013). The final nominations for the Oscar's Foreign Language Films will be announced on 23, January 2018, and the 90th Academy Awards ceremony will take place on 4 March, 2018.